It started off as a routine run just to get back in shape. 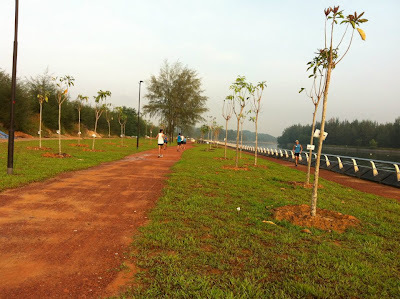 The plan was to just run along the new Ponggol Waterway and Ponggol Promenade and hopefully survive a distance of 16km. After crossing the nice red bridge to the Ponggol side, our tour leader for the day decided that we should cross to the far bank of the Ponggol Waterway and run, hopefully, to Ponggol Jetty/End. This part of the route was surprisingly not the usual asphalt/concrete/tiled road but what the signboard there said "natural" road. Actually it was nice soft laterites soil. I just hope it stays that way but judging from the many waterlogged spots along it, sooner or later some idiot will complain that the ground spoils his/her shoes and it will be paved over. We ran with Coney Island on our right separated from us by the sea. Then we came to an abrupt stop as there was a zinc gate right across the path. Apparently, the path on the other side was not completed yet. Awww, shucks! But then every cyclists, walkers, joggers and the ah ma ah kong were just causally walking through the unlocked gate despite the warning sign. So we did what every natural Singaporean does. We copied them and walked across and continued our run. Behind the gate was a beautiful forest and a very nice long straight trail, all 2km of it. We ran and eventually reached the Serangoon Reservoir Tidal Gate which was not too far from where we had started the run.We met a contractor on the other side of the fence and he warned us to be careful of the wild boars and the cow. Cow! 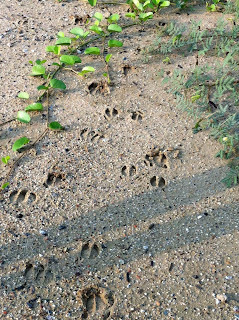 That got us even more excited but unfortunately all we saw was these tracks from the wild boars. Back onto Ponggol Waterway, we came to another fenced up gate. This one was totally locked but did that stop us? Obviously not. Ingenious us figured a way to go over and boy were we glad we did so because we soon came to the Ponggol End which was awesomely beautiful! There was nice view, a nice pond and a nice toilet complete with showers! Too bad there wasn't any refreshment kiosk. After a rather long break there to take pictures, we continued and came to Ponggol Marina! What a surprise! No need to run along boring Ponggol Rd and 17th Avenue! From there we made our way back to Ponggol Waterway via Ponggol Way. Although we took well over 2 hours to cover the 16km or so, a big chunk of the time was spent taking photographs, looking at butterflies and for a pit stop at Ponggol Marina. And I am glad I dragged my lazy bum out of bed for this run, not only because it was a nice run with wonderful friends but it is the longest run both in terms of timing and distance I done since the injury. So yes, I'm back and still exploring! Tekko, any GPS maps to share? Interesting post, I am so glad that I have visited your site. Really useful information! Really love the lotus pond! Where exactly is that place? 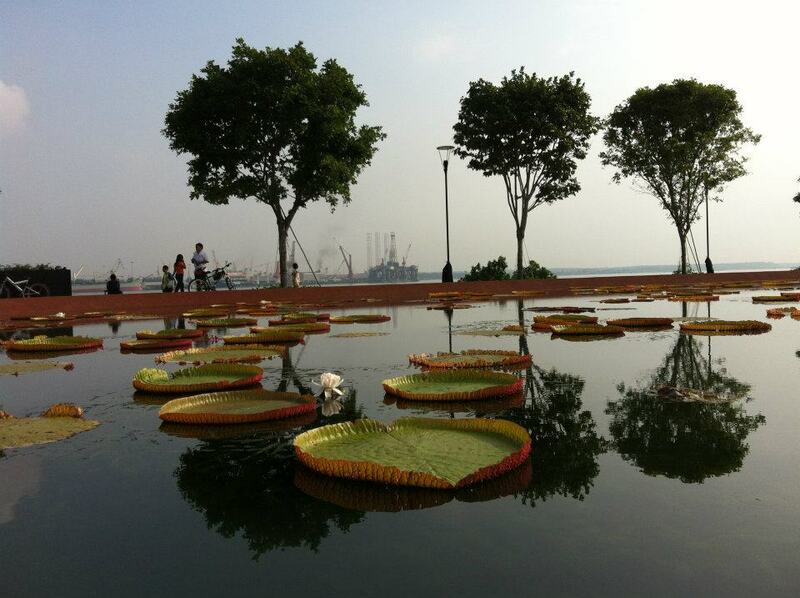 The lotus pond is at Ponggol End, Singapore. anybody can bring me? I am interested in Coney Island. There are 2 entrances. One from the punggol one from Pasir Ris farmway. The one from Pasir Ris farmway isn't fenced up properly. The fence is only meant to keep vehicles and animals up. When you are there, look to the right and you'll see how easy it is to climb over the fence. It's waist length. Fishermen climbs over it EVERY single day. Just a heads up: I saw a big brown COW there and heard some wild dogs barking. Wild boar also exists there but I didn't see any. Enter at your own risk, and don't enter alone. FYI: when we were getting out of the place, it was 7pm. 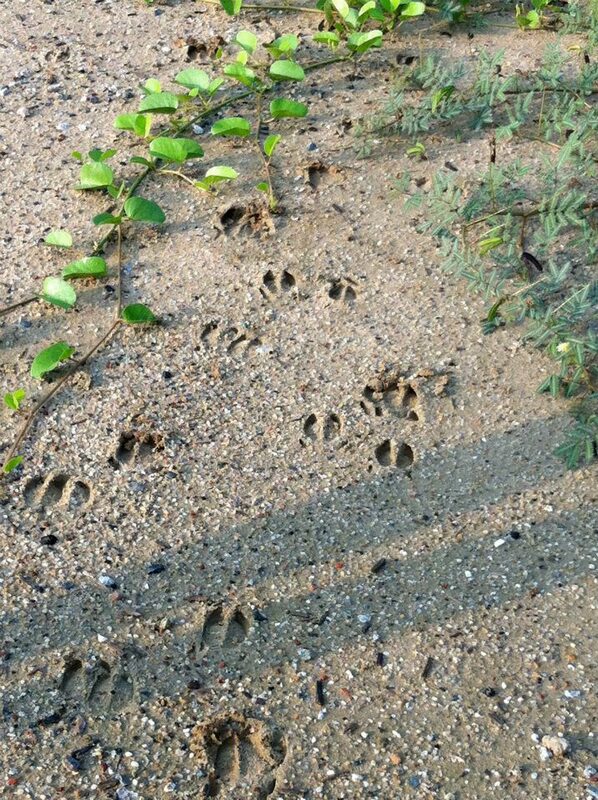 There were these 2 person who patrols that island every night(too many trespassers). He caught us and told us how dangerous it was, and we were let of with a warning. We could have been charged, no joke. Once again, enter at your own risk. It was VERY fun and interesting seeing wild animals. Which is the most suitable running shoes/form? Running is Good for You?